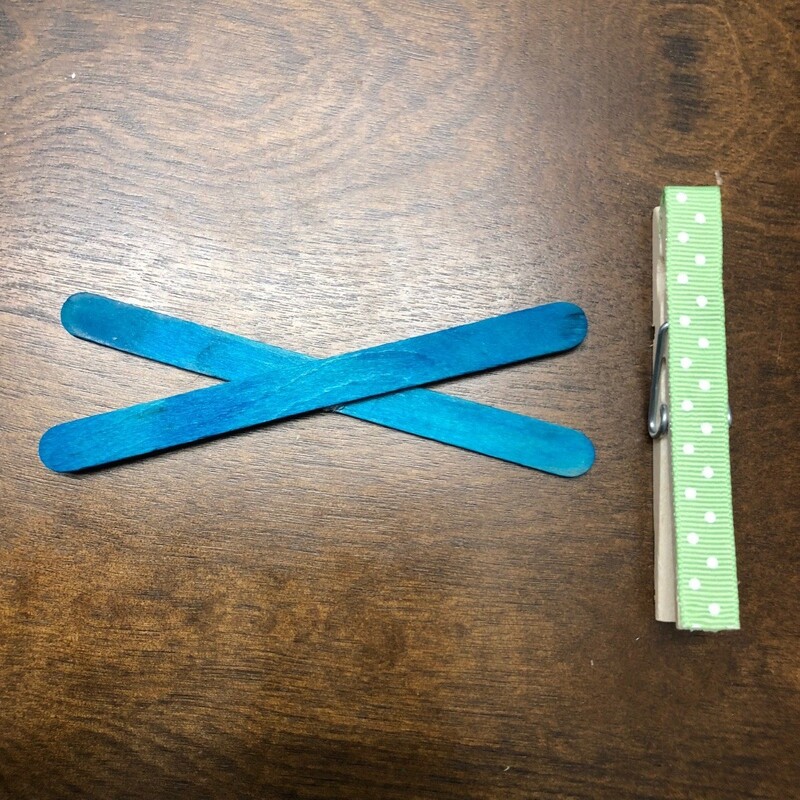 Cut a strip of ribbon to fit on the clothespin. 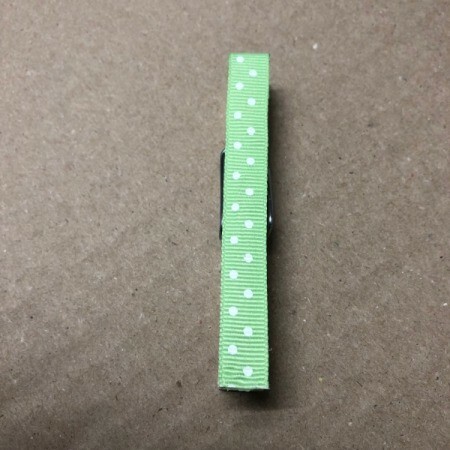 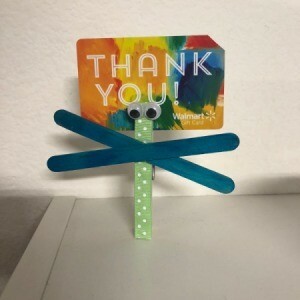 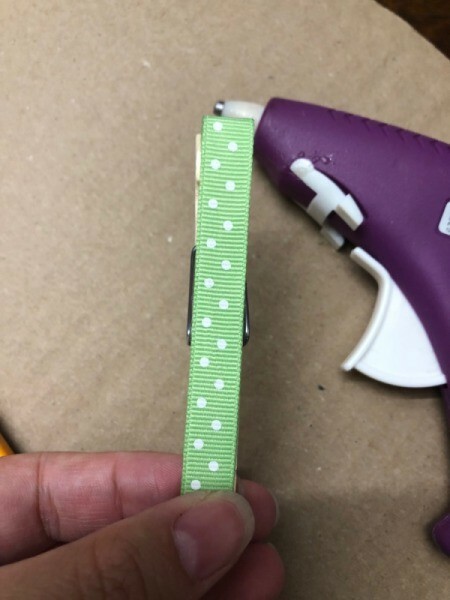 Hot glue ribbon to clothespin. 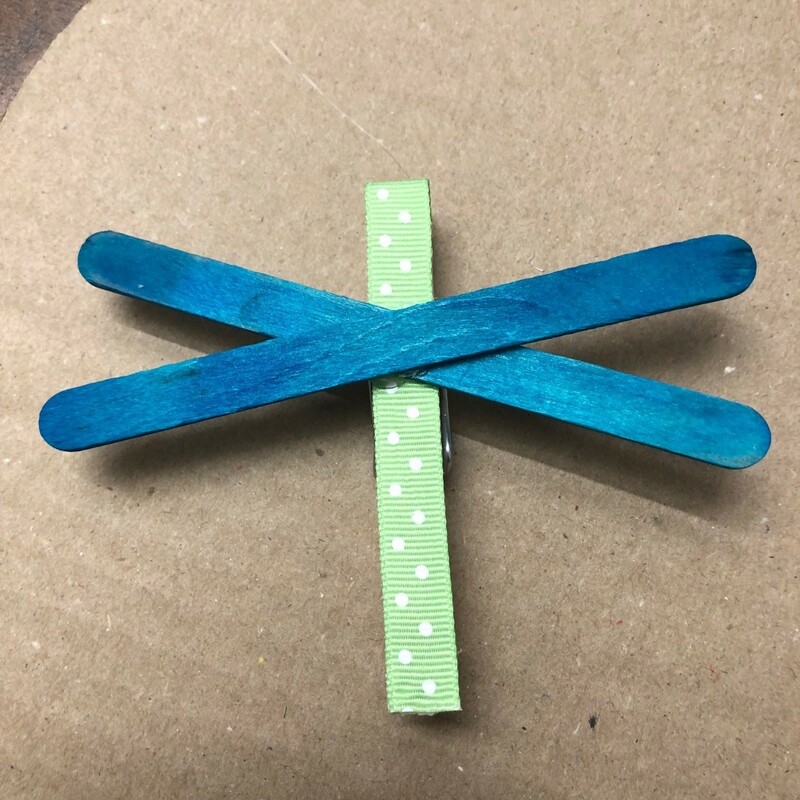 Glue craft sticks criss cross to resemble sideways "X" as the wings. 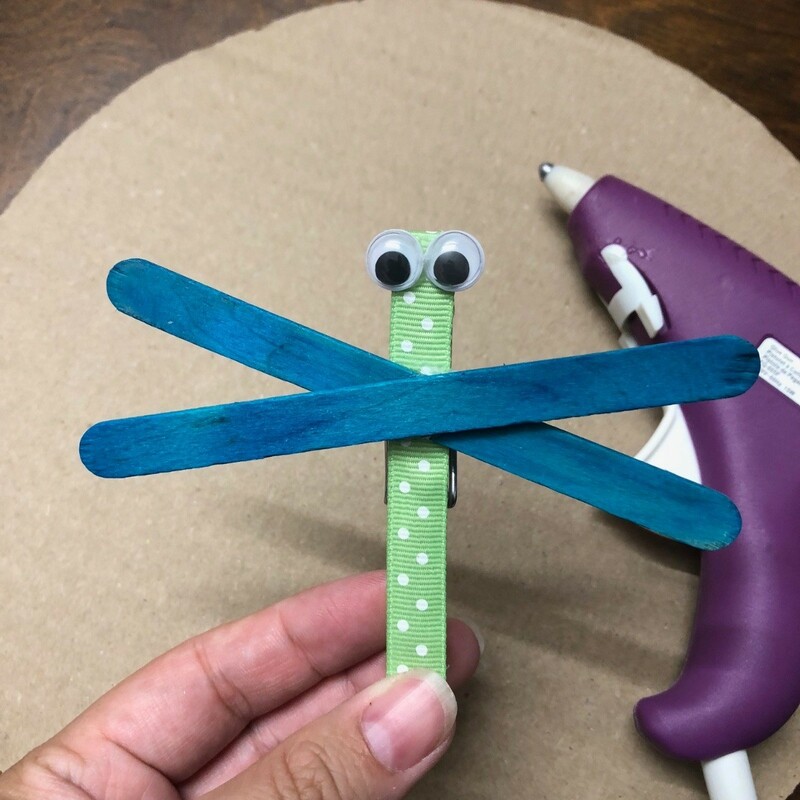 Hot glue down wings down to clothespin. 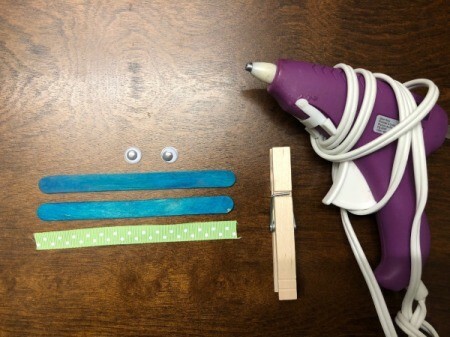 Hot glue on the googly eyes.